We bet there are a lot of people who are sick of searching for their lost remote day in and day out! This is all going to stop with the Universal TV Remote Control Pillow and you'll never wonder again where your remote control went. Made of a velour fabric, this piece of decoration is both comfortable and functional! 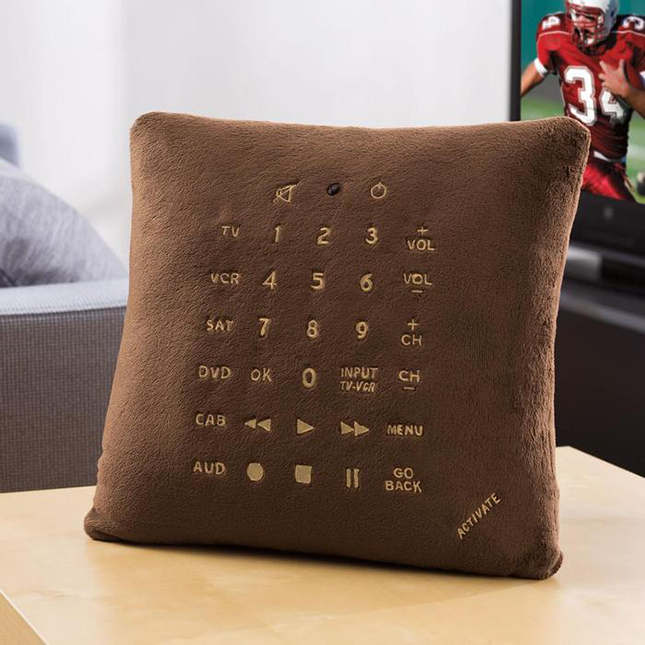 The pillow is easily programmable and contains codes for more than 500 devices. Make television even more entertaining and enjoyable! 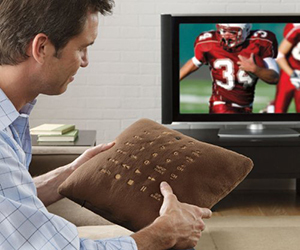 The remote sofa pillow has been manufactured with a wide range transmitter that has a built-in infrared LED, which means you don’t have to be close to your TV set in order for the pillow to make contact. Changing channels will be a piece of cake from now on when the pillow you’re cuddling on your couch is your fully functional remote control. The power-saving auto shutoff feature shuts off the remote’s functions in case it’s interactive for more than 60 seconds.